« Hackers Managed to Downgrade iPhone 4S From iOS 7.1 to iOS 5.1.1 Without SHSH Blobs? While the 4.7-inch version has been leaked extensively with a thinner body design, the 5.5-inch model only saw its first significant leak in the form of a dummy model last week. 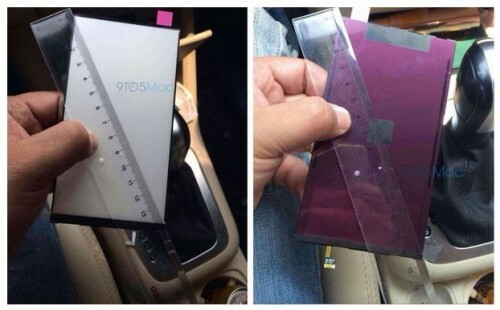 Today, Sonny Dickson has exclusively shared with us a pair of photos claimed to be showing the LCD display component for that larger iPhone with 5.5-inch screen. The leaked LCD proves the fact that Apple has already begun the production of components for its next-gen iPhone. Looks like the mass-production of the handset will start very soon. Apple’s iPhone 6 with 5.5-inch display is expected to feature an improved Touch ID fingerprint sensor, better camera and a number of other enhancements. The guys from Cupertino will officially unveil their new smartphone later this year.